It has been another strange and almost surreal week in the life of Real Zaragoza in the days leading up to its 80th birthday on Sunday. While concern continues to grow about the long term future of the club, despised owner Agapito Iglesias has opened a Twitter account (@Agapito_RZ), claiming that he had done so ‘to be able to express my opinion directly and freely’. His used his first offering to reiterate his desire to sell his shares and end his association with the club, but ten days on from that initial announcement, scepticism as to whether he is really serious about doing so remains sky high. Needless to say he has already received many hundreds of messages encouraging him in no uncertain terms to go away for good. Better news for the players is that Iglesias met with them on Thursday to tell them that he would be paying them the money which they have been owed since the end of December. Mediapro have paid the club most of what what they are owed in television rights for the season, around £15m, and the owners has promised them that at least some of them is heading their way. Around £3m of it will form the first instalment of payment to the Spanish tax man, who is currently owed nearly £30m. ‘Zaragoza in the Champions League places’ was one amusing headline in this week’s newspapers, alluding to the fact that only three clubs owe more in unpaid taxes, with Atletico Madrid topping the list with a whopping £140m still to be paid. Some may argue that the current squad should remain unpaid after another wretched defensive display last Saturday in San Sebastian ensured a 3-0 defeat against Real Sociedad, meaning that they are now them even closer to the mathematical certainty of a relegation which nearly everyone has accepted is just a matter of time. The players have continued to say all the right things in the press this week, but recent performances have generally suggested that they are going through the motions whilst they wait to jump ship in the summer. 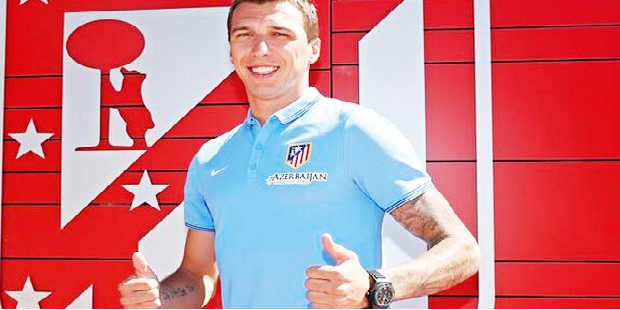 One notable exception has been ‘keeper Roberto, who continues to impress and whose nightmare will surely soon end with a move to a big European club. This weekend’s ‘derby’ against Osasuna has in the past generated a fair degree of excitement and tension in the Aragonese capital, and the authorities have still deemed it worthy of ‘high risk’ status. However the biggest danger for anyone would seem to be if Iglesias shows his face at the Romareda, something which he has failed to do since before Christmas. Tickets are again on offer for between five and fifteen euros to friends of season ticket holders, a move which has only served to stoke the anger of the loyal supporters, who are beginning to wonder why they bothered to pay up front before the start of the campaign. However despite repeating this cut price offer, there are likely to be many thousands of empty seats as the fans vote with their feet. Meanwhile the action group ‘Let’s Save Real Zaragoza’ continues its campaign against Iglesias unabated, and will hand in a petition of 21,000 signatures protesting about his continued involvement to the local government next week. Those who continue to attend the games will again participate in the now familiar ‘agapitada’, in which supporters are encouraged to whistle continuously in the 32nd minute of the first half to demonstration their opposition to the man in charge. However at this stage it remains unclear as to whether the ‘agapirada’ will again be deployed, a mass exodus which took place in the 32nd minute of the second half against Villareal. This idea provoked one of the few recent divisions amongst the fans when their team scored two late goals to record a rare home victory. How unlucky were Zaragoza today? To take the lead in the game so late then go and let one in minutes later! Hopefully a buyer will eventually come in for the club, to take it away from the current shockingly poor ownership. Sadly with debts as high as they are, it seems unlikely to say the least. Many clubs like Zaragoza simply aren’t profitable and the scale of their debts and problems will likely frighten away any potential investors. I really do think that a fairer distribution of TV rights and money will help encourage investment in some of these ailing clubs, but it won’t be the magic cure that many people seem to think it might be. That will come from more stringent regulations about the ownership and financial management of clubs. Unfortunately things have been left to rot at too many clubs in Spain, for far too long. Not a huge surprise sadly Joel, the team is simply not good enough defensively for their fans to feel confident about ever hanging on to a lead for even a few minutes – one clean sheet since mid October, and that only thanks to an inspired performance by Roberto at Espanyol. I agree with you re TV rights Heath, certainly it would help but a lot of clubs need to take a serious look at how they run their finances. 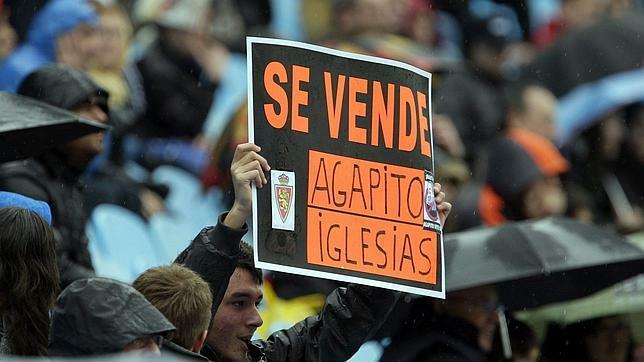 The trouble with Iglesias is that many feel he never had any intention of using Zaragoza as anything other than a cash cow to milk dry, and that he will continue to squeeze every last penny out of the club even when it is on its knees. As in England, what really seems to be needed is some better way of regulating who is allowed to run football clubs.